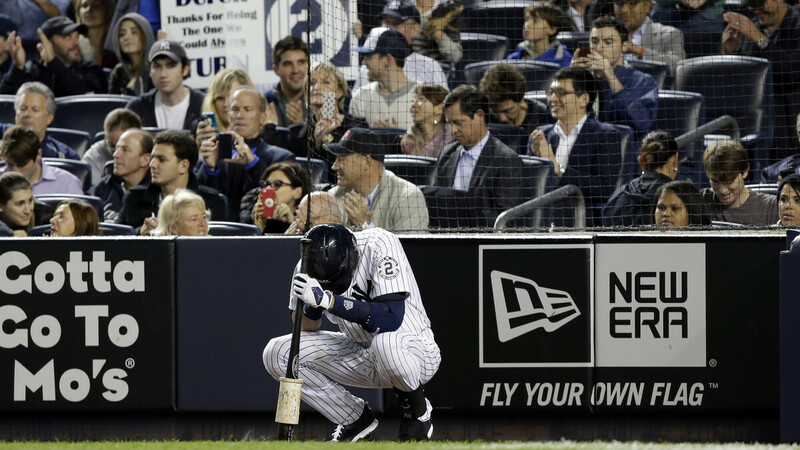 Photos: Jeter Leaves Yankee Stadium With One Last Game-Winning Hit : The Two-Way Derek Jeter's single in the ninth inning propelled the Yankees over Baltimore 6-5 on Thursday night in his last game at Yankee Stadium. The retiring shortstop has played 20 seasons with the team. Derek Jeter's single in the ninth inning propelled the Yankees over Baltimore 6-5 on Thursday night in his last game at Yankee Stadium. The retiring shortstop has played 20 seasons with the team. New York Yankees C.C. 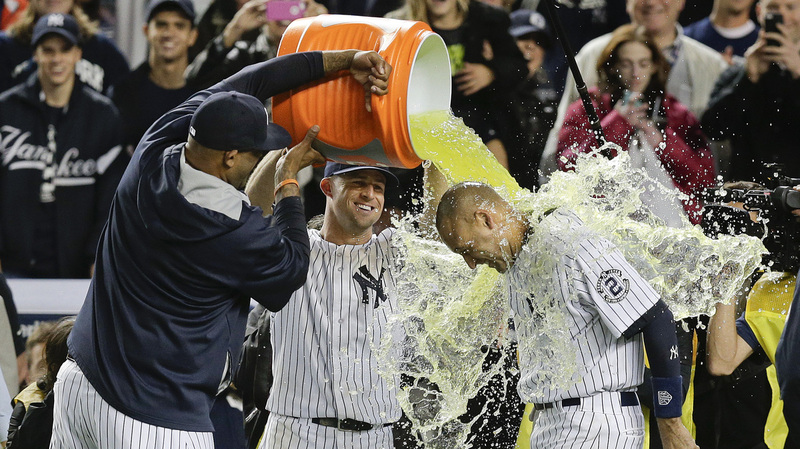 Sabathia (left) and Brett Gardner douse Derek Jeter with Gatorade after Jeter drove in the winning run against the Baltimore Orioles on Thursday in the final home game of his career. 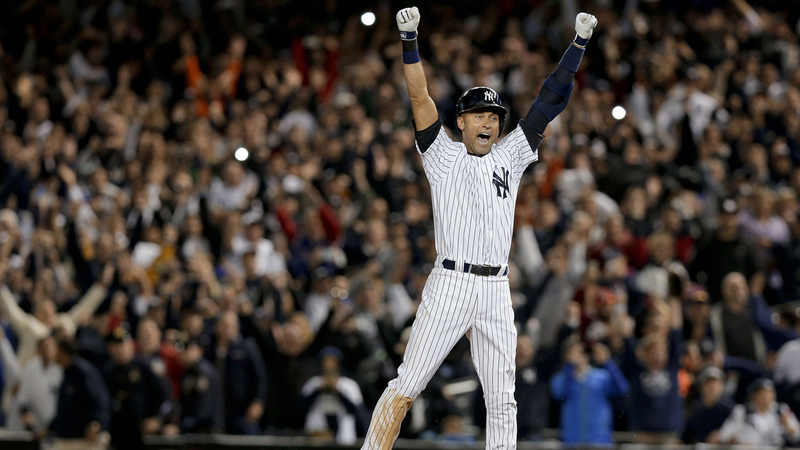 The shortstop is retiring after 20 seasons with the Yankees. Jeter celebrates after his game-winning RBI in the ninth inning in his last game at Yankee Stadium. 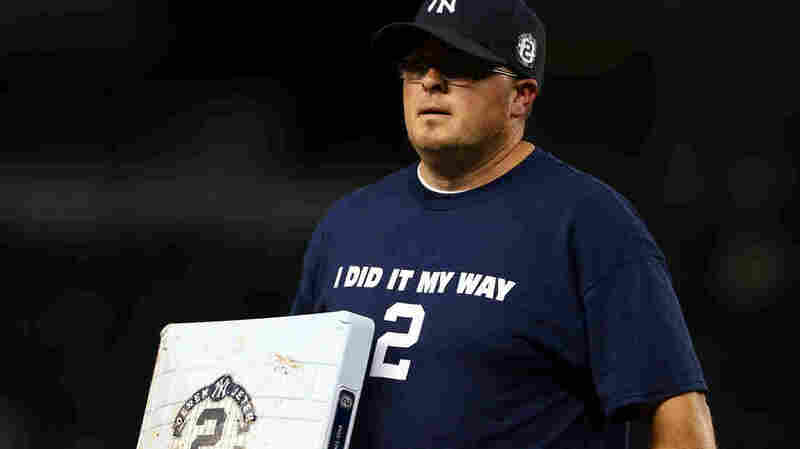 The Yankees beat the Orioles 6-5. 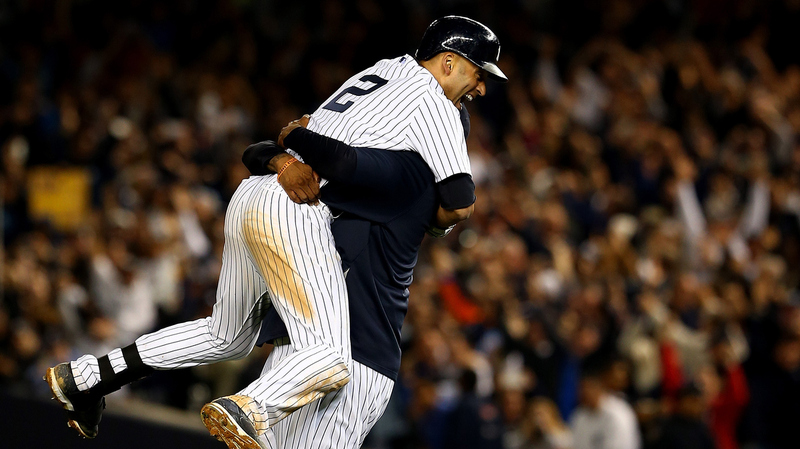 Jeter jumps after hitting the game-winning single in the bottom of the ninth, clinching his 1,627th regular-season victory with the team. A grounds crew worker changes a base with Derek Jeter's uniform number on it during Thursday's game. Jeter heads for home on a hit by catcher Brian McCann in the first inning against the Orioles. Jeter waits to bat in the first inning. 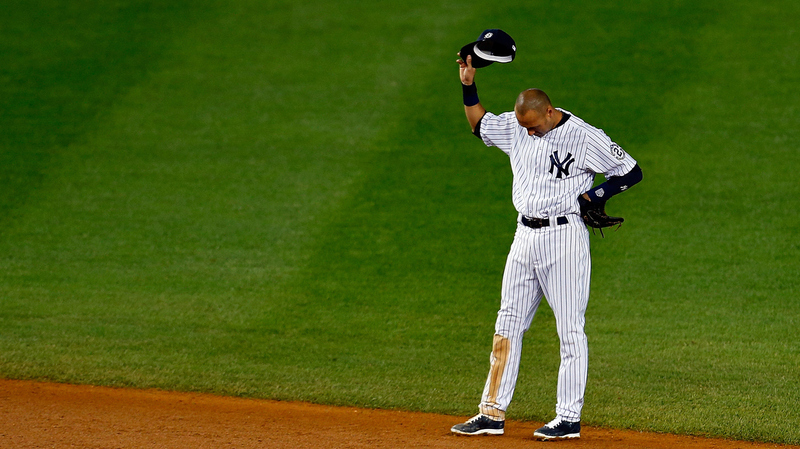 Jeter gestures to fans from the field during his last home game. 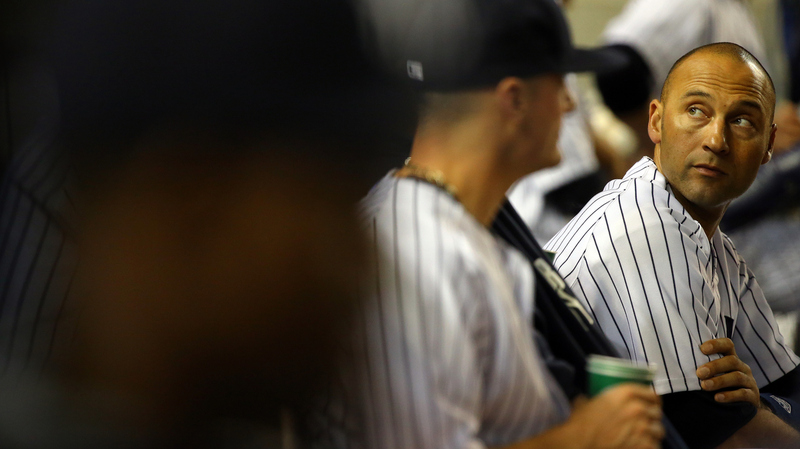 Jeter looks on from the Yankees dugout in his last game at Yankee Stadium. Jeter throws on the field before the game. 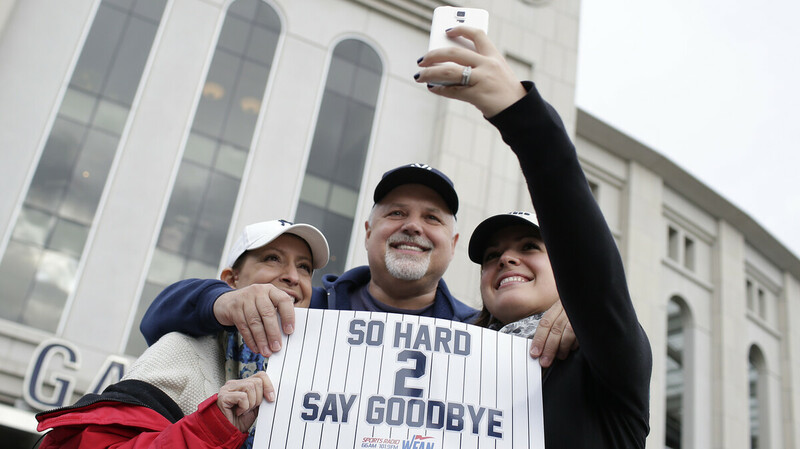 Fans take a photo outside Yankee Stadium before Derek Jeter's final home game on Thursday.